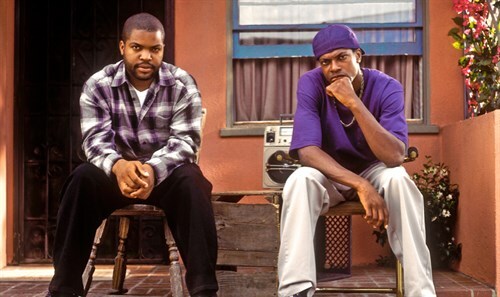 It's Friday and Craig Jones (Ice Cube) has just gotten fired for stealing cardboard boxes. To make matters worse, rent is due, he hates his overbearing girlfriend Joi (Paula Jai Parker), his best friend Smokey (Chris Tucker) owes the local drug dealer money—and that's all before lunch. As the hours drag on, Jones and Smokey navigate the gamut of urban life, complete with addicts, shoot-outs and overly sexual pastors, concentrated into one single, unbelievable Friday in this classic, seasonally-appropriate stoner movie.